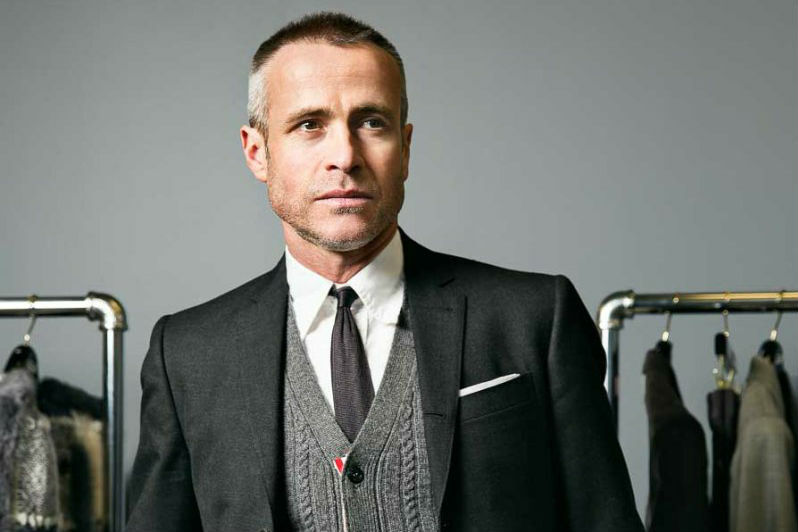 New York designer Thom Browne is renowned for putting an avant-garde spin on the preppy American aesthetic. It’s a signature style that has garnered him legions of fans from both discerning customers and industry insiders alike. In 2016, the respected creative grabbed top prize at the CFDA Fashion Awards, winning Menswear Designer of the Year. This comes as no surprise, since Mr. Browne continues to offer top-quality tailored garments that wow crowds at his runway shows. Consequently, through these numerous accolades, Thom Browne’s name will always stay relevant in fashion’s ever-expanding vernacular.